Everyone gets them. Lots of people profess to not like email ads, and say they’re an annoyance…lots of people just delete them right away. Still, email marketing, if handled properly, can be a very effective tool for marketers. Email marketing can be very cost-effective, and with recent advances in Web analytics, it can be targeted to the exact target market you are trying to reach. One report recently found that using analytics can bring nine times the revenue and eighteen times the profits of shotgun-style broadcast emails. Along with the targeting that can be done with emails, email marketing also helps drive direct sales, it can build customer relationships and loyalty, and it supports sales through all of the company’s other channels. The right content in an email, put forward the right way, can bring in immediate action such as sales, downloads, registrations and inquiries. You can also send out a newsy, informative “newsletter” type emails to inform customers about upcoming events, new editions of catalogs, new products and services and any number of other things that help build awareness and strengthen your brand’s presence. In 2008, Marketing Sherpa did a survey of hundreds of marketers; pay-per-click ads ranked tops in ROI, with email marketing (to house lists) at a close second. SIlverpop survey in December 2009 found that “four out of 10 marketers reported that their email budgets in 2010 would increase, while nearly half (47 percent) said their budgets would stay the same” despite the effects of the recession. Datran Media’s 2009 Annual Marketing and Media Survey had 58.5% of industry executives planning to increase their investment in email, while only 5.7% planned to cut back. 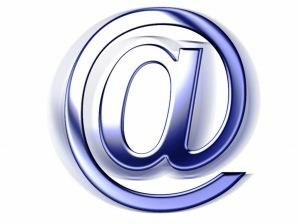 Across the board, it’s estimated that expenditures in email went from $600 million in 2008 to $700 million in 2009. Even with all of this information, keep in mind that E-mail marketing requires an aggressive budget and a steady approach. Sending an email to 10 million users is not email marketing. It requires a well-planned strategy and an effective execution. Contact us if you seek solid results with Email Marketing, we can help!